You're well on your way to confirming your title as ruler of the roost in im-peck-able style with this rare as a hen's tooth, Mother Hen Tea Towel. 100% cotton. 70cm x 50 cm. 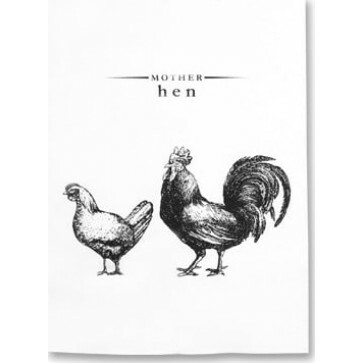 You're well on your way to confirming your title as ruler of the roost in im-peck-able style with this rare as a hen's tooth, Mother Hen Tea Towel. Cooly quaint Victorian era theme. 100% cotton. 70cm x 50 cm.